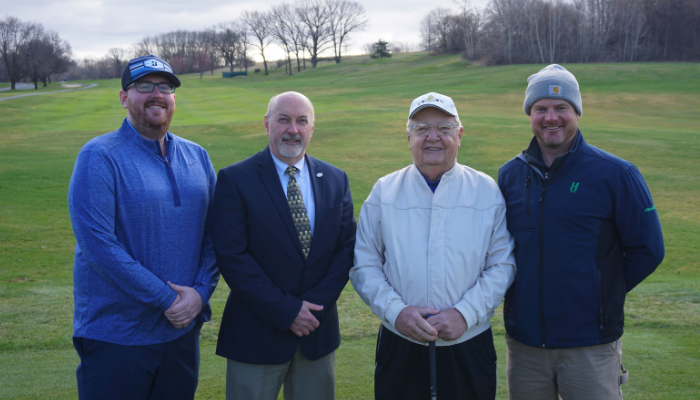 TROY, NY – On Tuesday, April 16th, the Frear Park Municipal Golf Course celebrated the official opening of the 2019 season. Mayor Patrick Madden joined Course Superintendent Greg Tudor, Course Manager Josh Buell, and longtime course starter Jack Stapleton for the ceremonial first tee shot to mark the start of Frear Park’s 88th season of golf in the Collar City. Season passes are available for purchase, with discounted rates available for Troy residents. For more information or to reserve a tee time, contact the Frear Park Pro Shop at (518) 270-4553, Parks & Recreation at (518) 235-7761, or visit the Parks & Recreation Department website.